Allow us to customize a color using our all-natural, botanical dyes to blend seamlessly with your natural hue. Eyebrows are your most important feature, providing a frame for your face. We’ll accent your natural size and shape with careful trimming and tweezing to create balance, symmetry and harmony. Our professional hairstylists and makeup artist will make sure to create your dream wedding look. You don’t need makeup to be beautiful. However, every woman is familiar with that extra little boost of confidence she feels after a professional makeup application. This little dose of pep in your step can make a special night all the more magical. That’s why we want to bring the best in event makeup to our treasured Jacksonville clientele. If you want to be the best version of yourself at your next event, then you need the highest rated makeup artist in Jacksonville. Not every event requires a smoky eye and a bold lip. If you have a big work event or a first date coming up, give your look that extra something with a natural makeup application. 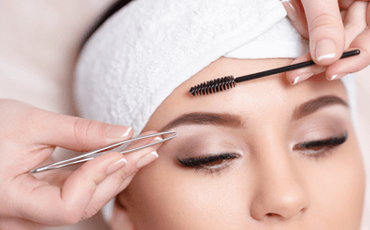 During your appointment, your makeup artist will focus on using the best products to give you glowing skin and eyes that pop without being too over-the-top. The finished result will be a look that’s beautiful, but subtle and demure. While the natural look is perfect for corporate events or first dates, you want something a little more dramatic for that big night out. Whether you’re going to prom or having a ladies’ night at your favorite club, we want to give you sultry eyes, flawless skin and eye-catching lips. There’s a myriad of looks for a night out. Your makeup artist will work with you to achieve the perfect look for you. 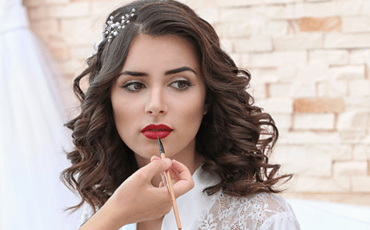 Whether you want a simple eye and classic red lips or a smoky eye with dewy skin, let the highest rated makeup artist in Jacksonville turn you into an absolute bombshell. 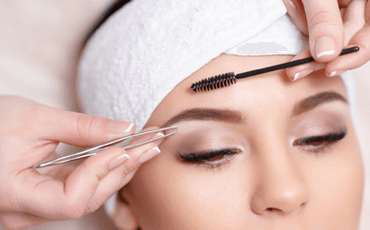 At Beauty Artistry, we offer a brow service that utilizes threading and tweezing to give you the perfect shaped brow for your unique face. Threading and tweezing is one of the gentlest ways to remove unwanted hair. Unlike wax and sugar, it’s safe for most people using prescription skin treatments like Retin-A. However, it’s just as effective as its stickier counterparts. With thread and a tweezers, our talented staff will banish unwanted stray hairs and leave you with the exact eyebrow shape that you want. We also offer lash and brow tinting, a safe way to get your brows and lashes to the exact color you want them to be. Our botanical dye is safe for use around the eyes. The finished result appears completely natural, blending in perfectly with your hair color and skin tone. 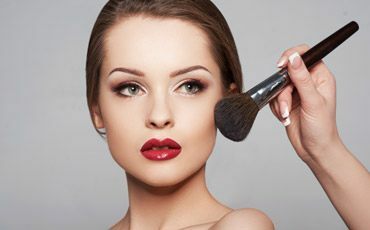 Event makeup is that magical finishing touch that gives you the confidence you need to be the belle of the ball at your big event. Whether you’re walking down the aisle or dancing the night away at prom, let our talented team help you to look and feel your absolute best on your special day. Contact us today to learn more about how we can help you to achieve your beauty goals and to book an appointment.